Socks4Life sent me some of their running socks for review! They are great quality and inexpensive. They sell casual socks, womens socks, low cut socks, mens socks, and crew socks! 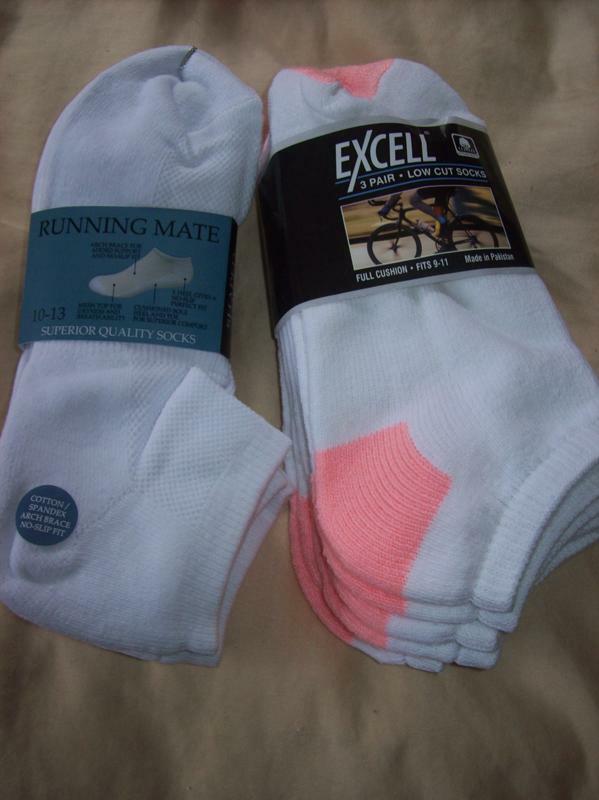 I chose to get some men's running socks and some women's running socks to review. I am ALWAYS losing my socks so I was excited to get these. The women's ones that I got are very cushy and feel great. Also, for a pack of many of the socks, it only costs around $7 which is great and cheaper than you can get them in many stores. The giveaway will be for a $25 gift certificate to Socks4Life to one lucky reader. The giveaway is open until Midnight on Thursday November 18th. Winner will be chosen on Friday November 19th using Random.org. Visit the Socks4Life website and let me know what you would buy if you won! I was sent these socks for free. The opinions given are my own. I was not compensated for this post. wow...lots of comments fro the same people over and over... don't know that I could manage giveaways. Following you back from Teens and a Toddler. Thanks for stopping by Keeping Up With The Rheinlander's! Looking forward to your post! I like the pink heel and toe socks and I could really use some new ones, but I might have to try their diabetic socks for my husband. I would first get a few pairs of liner socks then some slipper socks! I would want to get the Excell Women's Semi-Cushion Socks. I would buy some fun knee high socks! I'd like to try the Yelete Polka-Dot knee socks. So cheerful! I entered the Community Coffee giveaway! I would get the Excell Women's MJ Striped Slipper Socks. I'm desperate for new running socks--that is what I would get. I love their slouch socks the most in all colors. Entered your Reading Glasses GIveaway.